Girard's Garage Door Services is your trusted source when you need a emergency garage door repair service. From residential to commercial overhead door repairs, we are the preferred overhead door service in the Lehigh Valley. Seven days a week, we provide emergency garage door repair services to Allentown, Bethlehem, and surrounding cities. Our garage door technicians will come to your home and have your garage repaired promptly. We provide 24-Hour Emergency Garage Door Repair Service because we understand how dangerous a garage door issue can be. We specialize in many areas including garage door springs, torsion springs, sensor issues, and bent rollers. Our service teams are highly trained to service and maintain your garage doors and openers. With the best brands in the industry, we ensure quality and dependability with a 100% satisfaction guarantee. Leave the Emergency Garage Door Repair Services to the knowledgeable professionals at Girard's. We'll repair your overhead doors right the first time. Contact Girard's Garage Door Services today for all your garage door services. 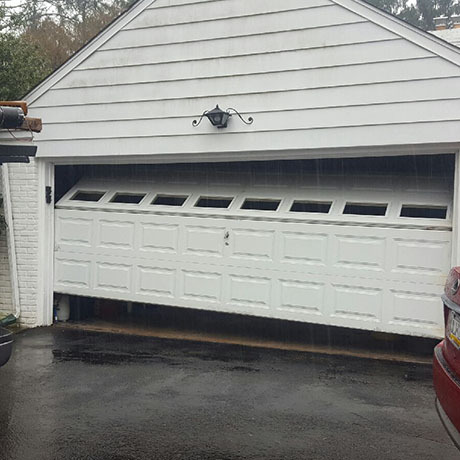 At Girard's Garage Door Services, we take pride in supplying the Lehigh Valley with the best possible garage door repair products and services on the market. Our full range of garage door restoration and installation services will have your overhead door fixed fast and affordably. Our company has years of experience, and maintains an excellent track record of delivering top quality service to our customers. It's essential to have a speedy and cost-effective service from a reliable company. We settle for nothing less than perfection. Whether you need a brand-new garage door, a garage door tune-up, or emergency service, we can handle the job. Girard's Garage Door Services will find the best method to fix your malfunctioning garage door opener within your budget. Don't let that busted overhead door opener leave you frustrated. We are personally invested in our commitment to providing 24-Hour Emergency Garage Door Repair Services to our customers.